Thank you for taking the time to recognize the talent and leadership within the NAF network that impacts student achievement and inspires us to find new ways to make a difference. The Advisory Board Champions Award recognizes individuals who have exercised extraordinary leadership in ensuring that all NAF students have the opportunity to participate in a series of work-based learning activities designed to prepare them for college, career, and future success. 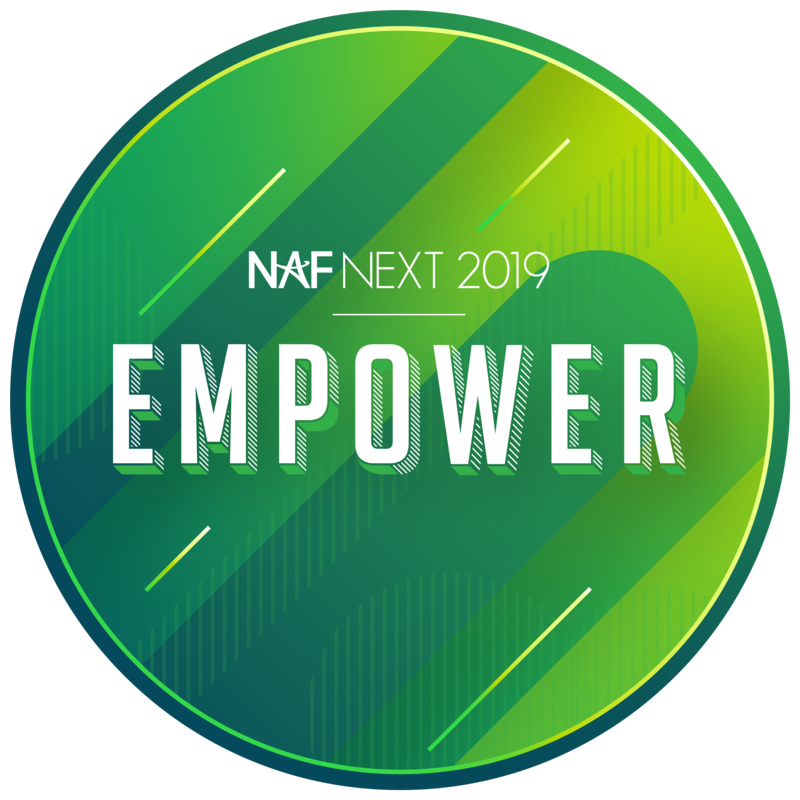 Winners will receive complimentary registration, airfare, and hotel to attend NAF Next in Detroit, MI this July 7-10 to receive their award. Please complete the form by Monday, March 11th at 5:00PM Pacific time to be considered. IMPORTANT: Please remember to save your work in a separate document before submitting this form, as your answers will not be saved until you hit submit. Letters of support are strongly encouraged. Please upload any available letters here. OPTIONAL: Have the nominee submit a 30-second video explaining how NAF has made a difference in their high school/community. Please shoot in a horizontal format and feel free to get creative with action shots/candids! Phone videos are welcomed. Thank you for your submission and best of luck on your nomination! If you have questions, please email Courtney Savoia.